Takeaway: Boost the performance of your garden with the latest products available to modern growers. This week we are featuring items from SuperCloset, AgroLED, Nanolux, Ed Rosenthal, and Wood's. These products are all #GoodtoGrow. SuperCloset’s complete, fully automated cabinets can be customized and designed to meet the needs of any grower. Of the extensive selection of grow cabinets at SuperCloset, the SuperTrinity is certainly the king. 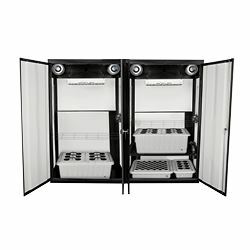 Sitting at a massive eight feet wide and 6.5 feet tall, this three-chamber, infra-cool steel grow cabinet system allows for every stage of the grow from seed to harvest. Having all three stages of growth operating concurrently significantly condenses cycle time, allowing growers to harvest every month. 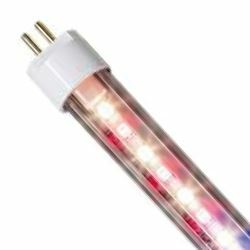 While the SuperTrinity is available in hydroponic and soil versions, growers also have their choice of lighting with either LED or HPS. The SuperTrinity is rounded out with four carbon filters, four inline fans, four internal circulation fans, two hydrometers/thermometers, TDS Meter, pH kit, a starter kit of nutrients, and SuperCloset’s handy net trellis that can assist in raising yields by up to 30 per cent. Every SuperCloset system comes with a three-year warranty and lifetime technical and grow support. 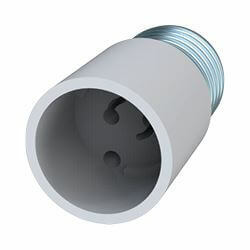 The Nanolux Mogul/CMH adaptor can be used in any mogul socket lighting fixture. It will allow you to adapt the fixture to use new CMH 315W lamps with a PGZ18 base. These can be paired with a CMH 315W Remote Ballast and tradition hood to create a 315W CMH setup. The Nanolux Technology team brings over 40 years of experience in the horticultural and hydroponic industries to the table. Nanolux Technology is continually advancing the industry, surpassing the status quo with new designs that are not only more efficient but also smaller in size. For example, the Nanolux uses cutting edge circuit board technology which allows us to produce digital ballasts at half the size of traditional models and at a quarter of the weight. As more licensed growers compete in the market, it is increasingly critical that commercial operations ensure their products test clean. 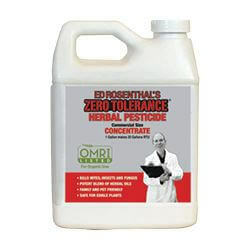 Ed Rosenthal has responded to this growing need by bottling his Zero Tolerance (ZT) OMRI-approved Herbal Pesticide for large-scale use. The new one-gallon bottle of ZT Concentrate makes 20 potent gallons of ready-to-use solution, and up to 40 gallons RTU when diluted and used as a repellent. Made from a blend of essential plant oils, cinnamon, rosemary, thyme and clove, ZT evaporates fully and leaves no residue, passing pesticide tests for both plant and extract production. Designed to eliminate spider mites, broad mites, thrips, aphids, and more, growers can rely on ZT to stop pests without damaging plants or the environment. There is zero wait time between spraying and entering the garden. ZT is approved for organic production and is Clean Green certified. AgroLED delivers serious innovation, with new milestones every month. Just out are the 41W and 21W Bloom iSunlight T5 HO replacement LED lamps. These lamps are an excellent choice for the complete cycle of your plant’s life. The iSunlight T5 Bloom lamp is an intelligent LED that is specifically designed to work with your existing T5 HO fluorescent fixture. These T5 LED retrofit lamps make an excellent replacement for all 3,000K T5 fluorescent lamps. The iSunlight Bloom features a combination of 450nm blue, 660nm red and 5,500K full-spectrum white diodes while only consuming 21 watts of power for the two-foot lamp and 41 watts of power for the four-foot lamp. These are environmentally friendly, mercury-free LED lamps. Wood’s Rooting Compound provides a safe, effective and inexpensive way for the grower to take advantage of concentrated rooting stimulants for plant propagation. Wood’s Rooting Compound is self-sanitizing and contains isopropyl alcohol, therefore eliminating concerns about cross-contamination. As a concentrate, the product allows the grower to mix the exact level of concentration desired for maximum results. 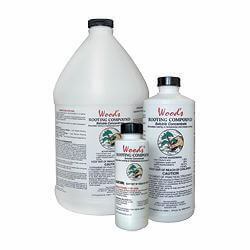 Wood’s Rooting Compound is available in three convenient sizes: 4-ounce, pint, and gallon, and has been tested extensively for effectiveness as well as safety for humans, animals, and the environment. Retailers can now get Wood's Rooting Compound through Hydrofarm. 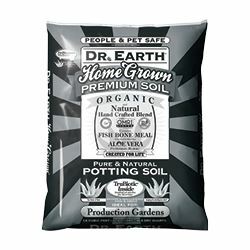 Dr. Earth Home Grown Potting Soil is CDFA- and OMRI-listed and approved for organic crop production. Use in containerized gardens, indoors and outdoors. It’s rich in organic input material, including alfalfa meal, wild-caught fish bone meal, cold water kelp meal, and many other organic nutrients that promote optimal health and help plants thrive. Home Grown Potting Soil also contains carefully selected peat moss and is ready to go, right out of the bag, with a pH near 6.5 for optimal nutrient uptake. Plants grow quickly in Dr. Earth soil as each contains a potent/proprietary blend of MycoApply-certified microbes which creates a vigorous root system. Choose Dr. Earth Home Grown Potting Soil to grow heavy weight flowers with maximum yields that are 100 per cent natural.